U.S.-flag Great Lakes freighters (lakers) moved 6.7 million tons of dry-bulk cargo on the Great Lakes in April, a decrease of nearly 6 percent when compared to the month’s 5-year average. Another brutal winter again spawned heavy ice formations Lakeswide that slowed the vessels that were put into service and delayed others’ sail date. With five of the six U.S. iron ore loading ports on Lake Superior, it follows that the iron ore trade was most affected by the ice fields. Shipments totaled 3.4 million tons, a decrease of 10 percent compared to the month’s 5-year average. 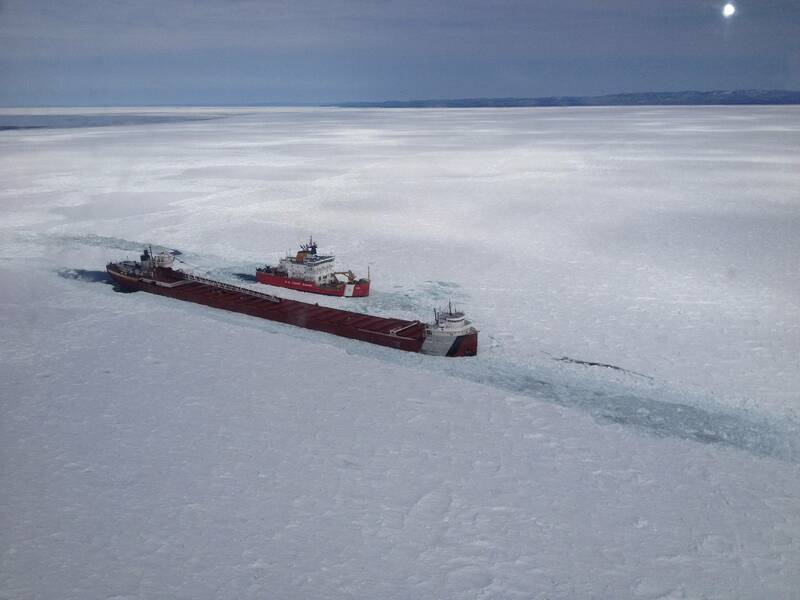 The ice in Whitefish Bay at the eastern end of Lake Superior was particularly daunting and many vessels bound for Duluth/Superior, Two Harbors, Silver Bay and Marquette had to wait until U.S. and Canadian icebreakers could lead them through the ice field. Coal cargos in U.S.-flag lakers totaled 1.3 million tons in April, a decrease of 8 percent compared to a year ago. Shipments of limestone nearly equaled their 5-year average. It must be noted, however, that the anemic cargo totals recorded in April 2014 distort the 5-year average. If April 2014 is discounted, cargo totals are substantially below their long-term average. Iron ore and coal are 20 percent below their average for the years 2010-2013. Limestone lags its 2010-2013 average by 6 percent. 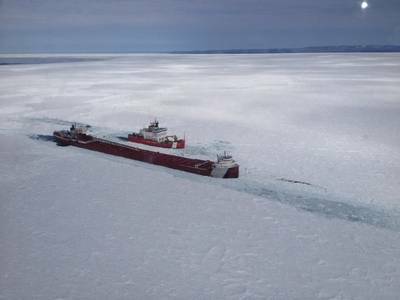 The House of Representatives has addressed the clear need for more U.S. Coast Guard icebreaking resources on the Great Lakes. The Coast Guard Authorization Act (H.R. 1987) passed yesterday includes a provision authored by Rep. Candice Miller (R-MI) that directs the Coast Guard to design and build a new, multi-mission icebreaker to strengthen its capabilities on the Lakes. The next step is for the Senate to approve a Coast Guard Authorization Act.